David F. Hendry is the Director of the Program in Economic Modeling, Institute for New Economic Thinking at the Oxford Martin School, and Professor of Economics and Fellow of Nuffield College, Oxford University. He was previously Professor of Econometrics at the London School of Economics. He is an Honorary Vice-President and past President Royal Economic Society; Fellow, British Academy, Royal Society of Edinburgh, Econometric Society and /Journal of Econometrics/; Foreign Honorary Member, American Economic Association and American Academy of Arts and Sciences; Honorary Fellow, International Institute of Forecasters and an Academician of the Academy of Social Sciences. He has received eight Honorary Doctorates, as well as the Guy Medal in Bronze from the Royal Statistical Society. He is listed by the ISI as one of the world's 200 most cited economists, is a Thomson Reuters Citation Laureate, and has published more than 200 papers and 25 books on econometric methods, theory, modelling, and history; numerical techniques; computing; empirical economics; and forecasting, for which he received the Isaac Kerstenetzky Scholarly Achievement Award in 2012. David Hendry received his PhD from the London School of Economics under the supervision of John Denis Sargan in 1970, and until joining the University of Oxford in 1982, was a Lecturer, then Reader and finally Professor of Economics at the LSE. Dr. Hendry also served as a research professor at Duke University from 1987 until 1991. His work is predominantly on time series econometrics and the econometrics of the demand for money. In recent years he has worked on the theory of forecasting and also on automated model building. David Hendry was elected a Fellow of the British Academy, a Fellow of the Econometric Society, Honorary Member of the American Economic Association and Foreign Honorary Member of the American Academy of Arts and Sciences. 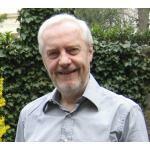 He was knighted in 2009 and received a Lifetime Achievement Award from the ESRC in 2014. His most recent book is Hendry, D.F. and B. Nielsen (2007), Econometric Modeling: A Likelihood Approach (Princeton University Press).